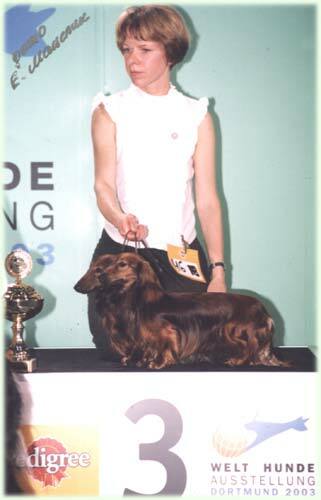 Our Longhair-Dachshound-Kennel is breeding red and black and tan Zwerg and Kaninchen-Dachshounds. 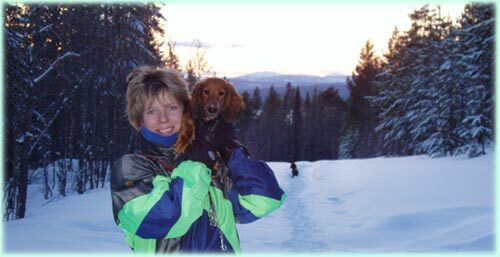 Their ancestors come from the leading kennels "della Canterana"(Italy), "vom Rainerschloessl"(Austria), "vom Benthener Forst", "aus der Bummelke", "Humboldtruh", "vom Pfauenhof"(Germany), "Wijsterhoeve"(Netherlands), "Kartus"(Slowakia). 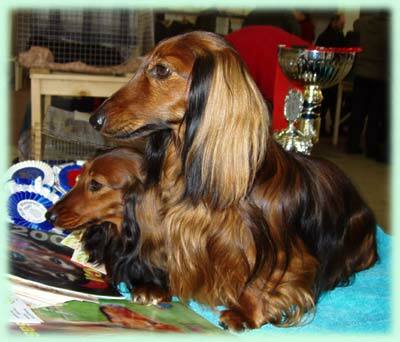 Our Longhair-Dachshounds are very elegant, have a very nice hair and head, their upper profile lines are excellent. They also have working certificates. 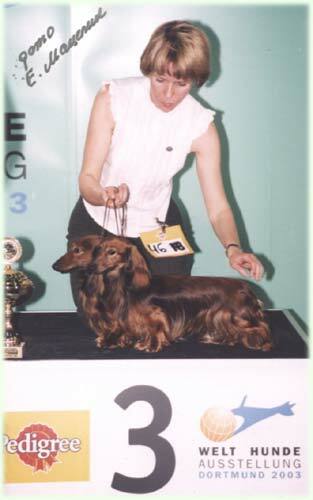 We congratulate all dachshounds breeded in our kennel and their owners that are in Russia, Germany, Finland, Czech Republic, Poland, Latvia, Estonia and Ukraine and wish all the best for the future shows! 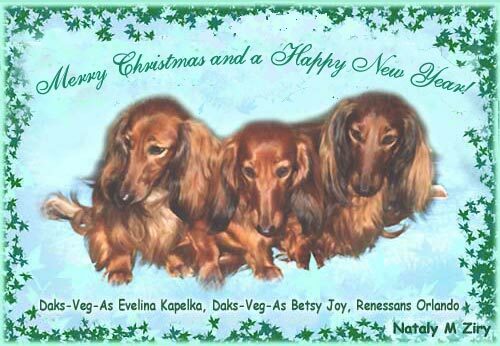 We are very open-minded for cooperation with all Dachshound-friends!